Newer vaccines used to protect against whooping cough, or pertussis, are not as effective as vaccines that were given to stave off the disease prior to the 1990's, according to a new study. Whooping cough is a highly contagious disease that can start out like the common cold causing a running nose, congestion, sneezing and a mild fever, but after one or two weeks, severe coughing that makes a "whooping sound" can begin. The disease is often most severe for newborns, and may lead to hospitalization. Last year was a record year from whooping cough in the U.S., with case increases reported in 48 states and particularly severe outbreaks reported in Colorado, Minnesota, Washington state, Wisconsin and Vermont. 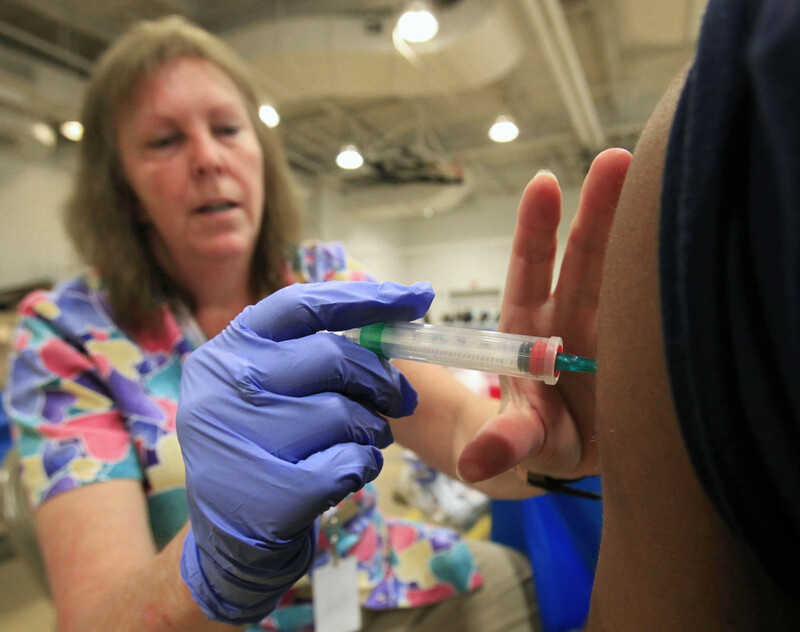 It was the country's worst year for whooping cough since the 1950s. At the height of the outbreak, some researchers began to point to waning effectiveness of the whooping cough vaccine as a possible reason for the uptick in cases. The vaccine, known as DTaP, is a five-dose series of shots recommended at ages two, four and six months; 15 through 18 months and between ages 4 through 6 years. Children ages 11 to 12 years old, pregnant women and any adult that has not previously been vaccinated are asked to get a booster dose of the vaccine, known as Tdap. Last September, a New England Journal of Medicine study found that the DTaP vaccine, which has been used to inoculate against pertussis since the 1990s, may not protect people as long as previously thought. That study found protection waned dramatically soon after youngsters got the last of five recommended doses at six years old. The new study sought to compare the "acellular" newer vaccines against the older "whole-cell" vaccines called DTwP. DTwP was used from the 1940s through early 1990s until it was stopped due to side effects like high fever. Researchers at the Kaiser Permanente Vaccine Study Center in Oakland, Calif., studied 138 children with confirmed cases of whooping cough and 900 kids who had a lab test showing they did not have whooping cough. They compared these two groups to more than 54,000 children and teens of similar genders, races and technicalities. All study participants were born 1999 or earlier, and had at least five years pass since receiving their fifth dose of the whooping cough vaccine. The researchers found for children ages 1 to 24 months, risk for whooping cough increased by about 40 percent with each acellular dose of the vaccine they received, when compared to those who got the whole-cell vaccine. The findings were published May 20 in Pediatrics. "Studies have suggested that protection following the acellular pertussis vaccine is less enduring than following the whole-cell pertussis vaccine," study author Dr. Nicola Klein, a pediatrician and co-director of the Kaiser Permanente Vaccine Study Center, said in a press release. "Although reasons for the recurrent pertussis outbreaks are complex, waning protection following five doses of acellular pertussis vaccine plays a central role, at least in recent epidemics." Teens who received four of the five doses of DTaP were almost six times more likely to develop whooping cough than teens who got four doses of the older DTwP vaccine. Study participants who received a mix of whole-cell and acellular vaccines had better protection those who just received acellular shots. The researchers also found the booster dose Tdap did not overcome the advantage in protection seen in people who got four doses of the whole-cell vaccine. Despite this, the Tdap booster "remains the best means currently available to help protect [teens] against disease," said Klein. The researchers are calling for more work into developing a new whooping cough vaccine that's safe and has long-lasting immunity. Dr. Kenneth Bromberg, director of the government's Vaccine Research Center and a of pediatrics at The Brooklyn Hospital Center in New York City, told HealthDay that there's no going back to the old whole-cell shots because of negative side effects. "The acellular vaccine doesn't last as long as the whole-cell vaccine, but it's not like it doesn't work. It does," said Bromberg. "And, it's a vaccine that's had almost all of the side effects removed." He said it's important to make sure newborns who are most vulnerable are protected, and he reiterated the CDC's advice that all pregnant women get the acellular vaccine in the last trimester of pregnancyto pass along protection. "The scientific community back in the 1990s felt that it had pertussis solved," Dr. Scott Halperin, a pediatrician and infectious disease researcher at Dalhousie University in Halifax, Canada, said to Science Magazine. "We're now seeing that we don't have a solution yet."